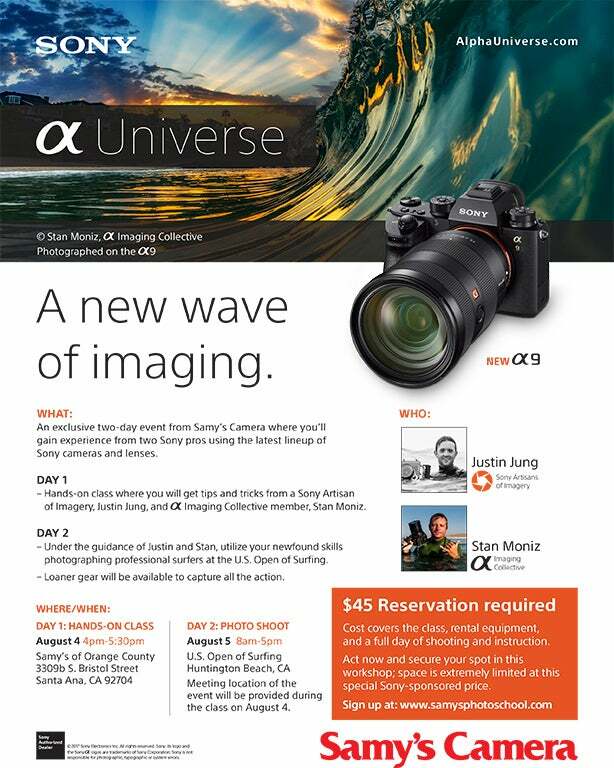 Join Samy's Camera along with Sony Artisan Justin Jung and Sony Alpha Imaging Collective Member Stan Moniz for an exclusive two-day workshop where you will gain experience from these Sony pros using the latest lineup of Sony cameras and lenses. Day one will consist of a hands-on class and day two you will utilize your new skills under the guidance of Justin Jung and Stan Moniz while photographing professional surfers at the U.S. Open of Surfing. Loaner gear will be available to capture all of the action. The cost for the two-day event is $45.